"Decay Measurement of 283Cn Produced in the 238U(48Ca,3n) Reaction Using GARIS-II"
"Study of the Reaction 48Ca + 248Cm → 296Lv* at RIKEN-GARIS"
"Double-layered target and identification method of individual target correlated with evaporation residues"
"New result in the Production and Decay of an Isotope, 278113, of the 113th Element"
"Production and Decay Properties of 263Hs." Journal of Physical Society of Japan, 78, 035003(2009). 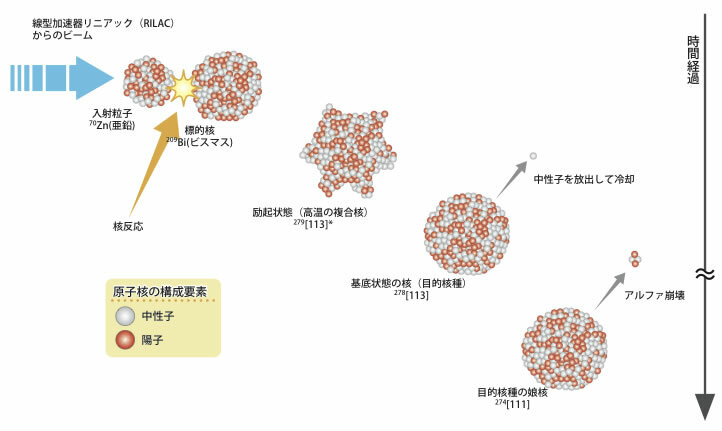 "Target for the heaviest element production at RIKEN." Nucl. Instr. and Meth. A 590 (198) (2008). "Observation of Second Decay Chain from 278113." Journal of Physical Society of Japan, 76, 045001(2007). "Experiment on Synthesis of an Isotope 277112 by 208Pb + 70Zn Reaction." Journal of Physical Society of Japan, 76, 043201(2007). "Development of Gas-jet Transport System Coupled to the RIKEN Gas-filled Recoil Ion Separator GARIS for Superheavy Element Chemistry." J. Nucl. Radiochem. Sci. 8, 55-58 (2007). "Experiment on the Synthesis of Element 113 in the Reaction 209Bi(70Zn,n)278113." Journal of Physical Society of Japan, 73, 2593-2596(2004).